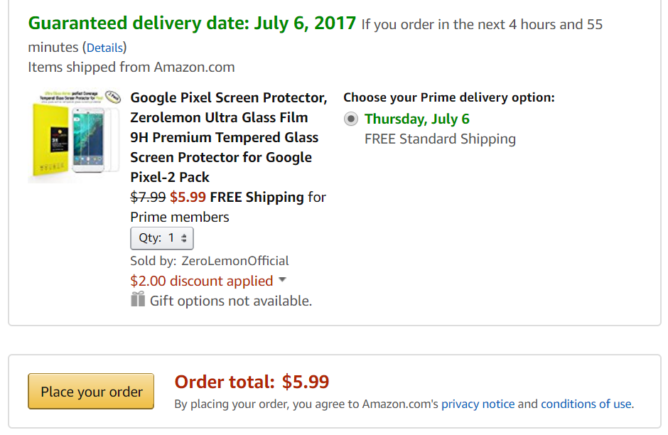 It isn't quite Prime Day yet, but that isn't stopping ZeroLemon from starting the party early. The company just tossed up sales for a ton of items, including a smattering of batteries, battery cases, screen protectors, cables, and chargers. Some items are even up to 70% off, though most of the more attractive items are between 20-50%. The company is offering discounts on a whopping 28 individual items. Obviously, we can't discuss every one of them here, and some of them are for iOS devices, but there are a few worth highlighting. Keep in mind that you'll need to use a coupon code for each discount. All coupon codes are listed down at the bottom next to their relevant item, as well as near the prices for each one discussed below. 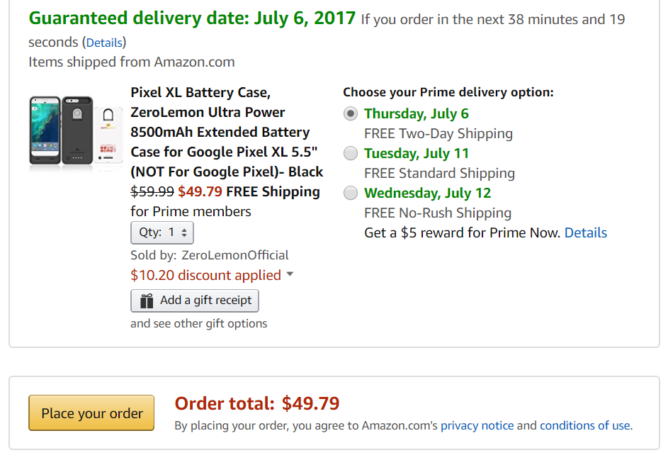 If you are looking for a case with a built-in battery, that's ZeroLemon's shtick. Included in the sale are battery cases for the LG V10 ($49.99 with coupon code DX98GZ7I), V20 ($49.99 with coupon code JSD6N4UQ), OnePlus 3/3T ($44.99 with coupon code QOCILQGJ), Pixel ($47.99 with coupon code YYE3DNYK), Pixel XL ($49.79 with coupon code DMCZXBUH), and the iPhone 6 ($17.99 with coupon code 6D9M73FS. Capacities vary quite a lot. But, generally, the bigger the phone, the bigger the battery ZeroLemon was able to fit in the case. Some of the cases are also a good deal more attractive than others. For instance, the case for OnePlus 3/3T has a significant bulge around the USB-C port that isn't present in most of the others. 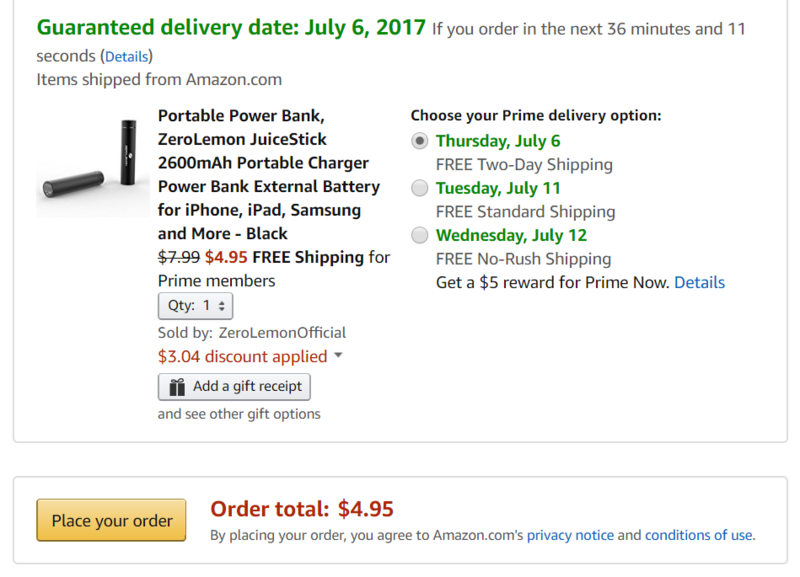 If you have a Galaxy Note 4, Amazon even has single ($9.99 with coupon code O8HNG3DV) and double ($14.99 with coupon code YVD5ODEE) packages of internal batteries for the phone on sale. If you want a battery, but don't want it built into your case, there are also a ton of external battery packs. Those cover a range from the 2600mAh tubular power bank at $4.95 (with coupon code SOALVBJG), to a 9,000mAh external battery that is $7.99 (with coupon code G7YZAASK). Most of the remaining items on sale are cables, power adapters, and screen protectors. You can get a 3.2' USB 3.1 type C to type C cable for $7.99 each (with coupon code F5MU7ZRZ), a very funky 4-port 54W Type C charger with a removable travel charger for just $9.99 (with coupon code IONNEOHS), and two-packs of glass screen protectors for the Pixel and Pixel XL for just $5.99 (with coupon codes 35N74YQI and WWOF8EOX, respectively). Enter code OUZOO37Q at checkout. Enter code UV6YU5NI at checkout. Enter code DX98GZ7I at checkout. Enter code JSD6N4UQ at checkout. Enter code QOCILQGJ at checkout. Enter code G7YZAASK at checkout. Enter code LDZXNLPK at checkout. Enter code IONNEOHS at checkout. Enter code YYE3DNYK at checkout. Enter code DMCZXBUH at checkout. Enter code 6X42KD7G at checkout. Enter code 35N74YQI at checkout. Enter code WWOF8EOX at checkout. Enter code WWLCIX55 at checkout. Enter code OUCKP27N at checkout. Enter code 49OT7OGF at checkout. Enter code CVWQIBQ2 at checkout. Enter code DZKOUMD4 at checkout. Enter code F5MU7ZRZ at checkout. Enter code SOALVBJG at checkout. Enter code 6D9M73FS at checkout. Enter code NZIFS4X6 at checkout. Enter code HGERZSQS at checkout. Enter code XR3PY6ZE at checkout. Enter code IUZ3EIN2 at checkout. Enter code O8HNG3DV at checkout. Enter code YVD5ODEE at checkout. Enter code FYLJAEIH at checkout.